Andrews Fruit & Produce is the place to visit when you want to stock up on fresh fruits, vegetables and dairy products. We opened our doors with the goal of providing Fall River, MA residents with produce direct from local farmers. 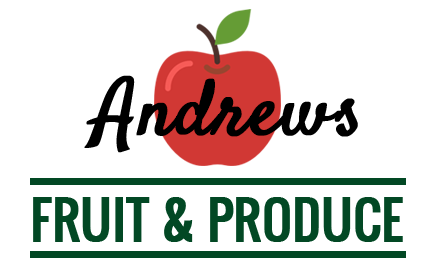 Visit Andrews Fruit & Produce to fill your fridge and adorn your table with the best locally grown produce. Custom fruit baskets: Our staff can create large and small fruit baskets for any occasion. We'll select the best fruit to include in your personalized basket. Locally made products: We visit area farmers daily for all of our fruits, vegetables and dairy products. Dependable delivery service: We can bring fruits and vegetables right to your door. Our staff is committed to providing on time delivery of fruit, vegetables and custom gift baskets. Stop by our store in Fall River, MA today. We invite you to call 508-672-5373 with any questions about our fruits and vegetables. Come to Andrews Fruit & Produce for juicy fruit, ripe vegetables and wholesome dairy products. We take pride in stocking our shelves with produce you'll love. Get your fill of fresh fruits, vegetables and dairy products at Andrews Fruit & Produce in Fall River, MA. Visit our store right now. You can also fill out an online order form to take advantage of our produce delivery service in the Fall River area.